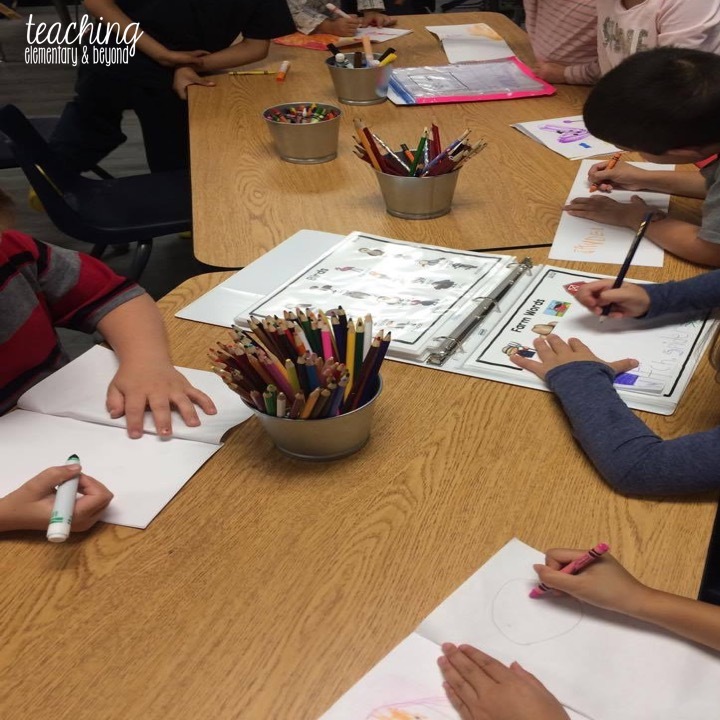 This is the first round-up that I am going to post about weekly learning centers available in my classroom. I'm hoping to post on a regular basis but at this time I don't know if it will be weekly or bi-weekly yet. 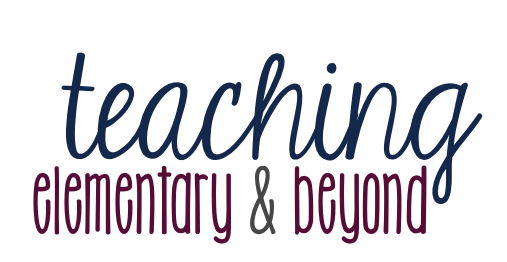 Posts will include a mixture of a variety of different activities from language, math, science and more! I hope it can inspire some learning in your classroom! This week we opened up the water table for the first time. We added foam letters, numbers and fishing nets for the kids to go fishing. 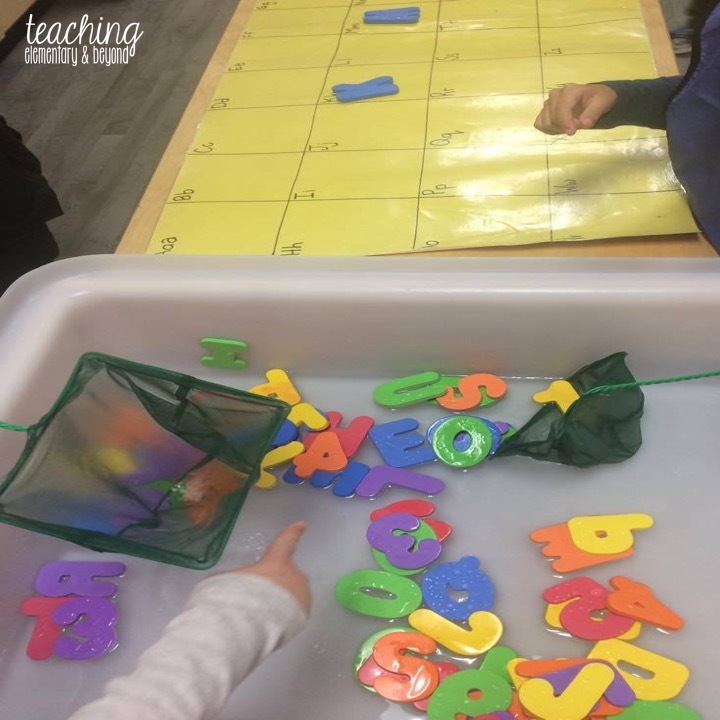 Our laminated alphabet chart is a great addition for students to match the letters they catch and sort them! Our school boards mandate is to focus on spatial sense. We put out an designer and builder game. The designer hid their idea in the box and gave directions to the builders. It was fascinating to discover who knew positional words already! 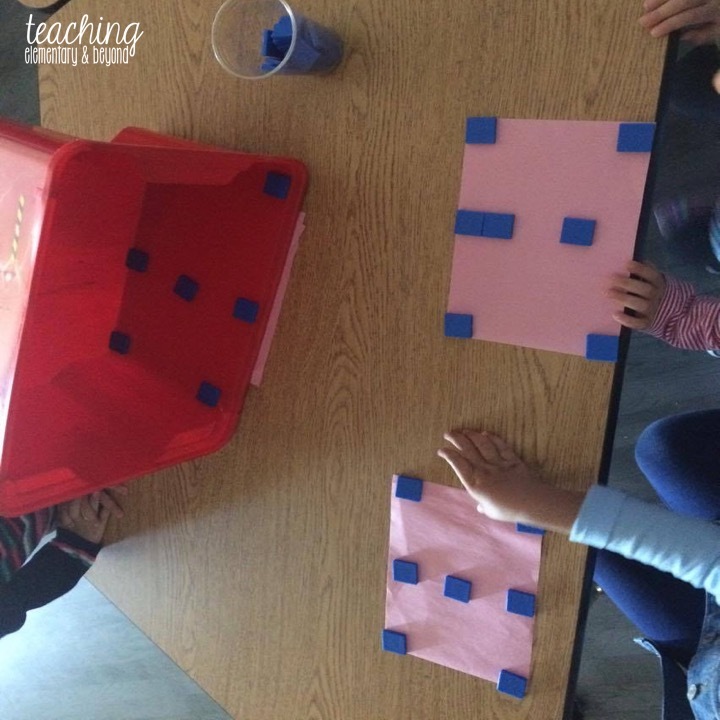 This week has been our first week we have had to rotate blocks during different learning center times. We allow all blocks during our longest times and then limit it one set during the other shorter times. 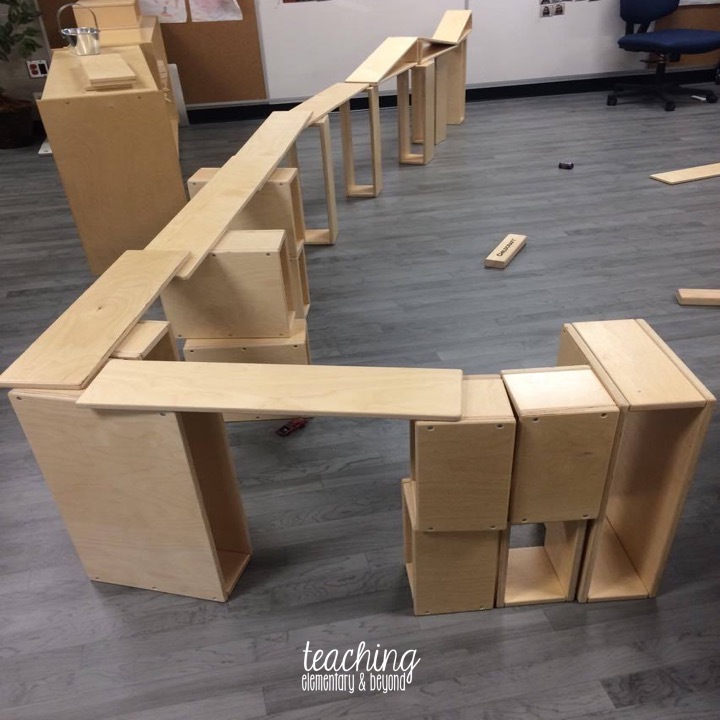 This amazing bridge was built quite quickly by 4 Year 1 (JK) students and they loved driving their vehicles across the top of it for the rest of the learning block! Amazing creativity, problem-solving, cooperation and collaboration to build it together! 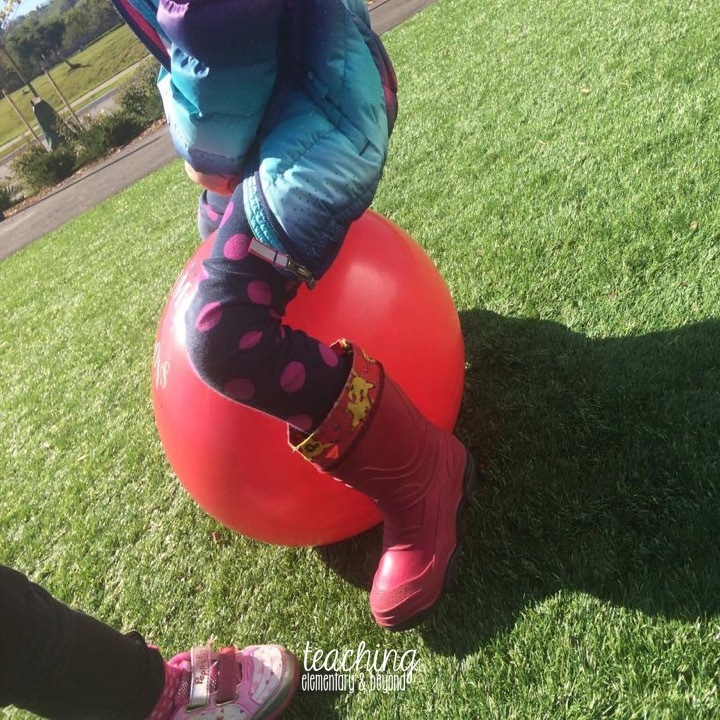 We have a bouncy ball with a handle on it for during outdoor learning. Students are allowed to bounce on it if they stay on the turf as it is soft. 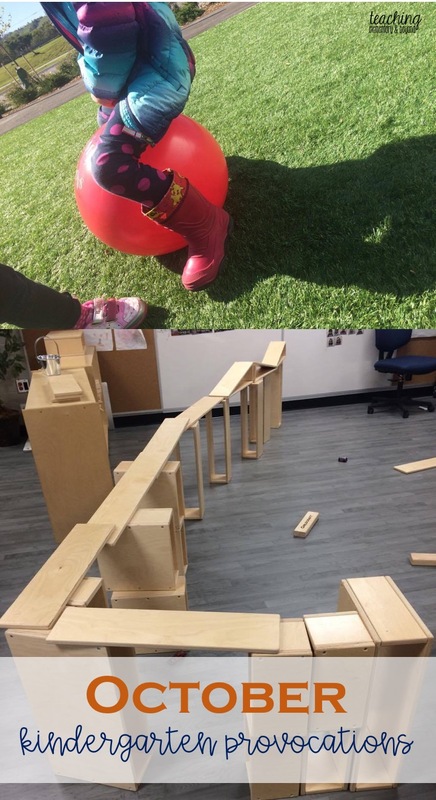 This has been great for students developing core muscles and balance. Our school does not have a structure for kids to climb this has been a great addition to our learning and students who need deep pressure stimulation. Book writing has become the most favorite activity in our classroom for all of our students. Often we have 8-15 kids wanting to write a book at a time. I'll be writing a blog post soon about how we set it up and the routines about this in our class. 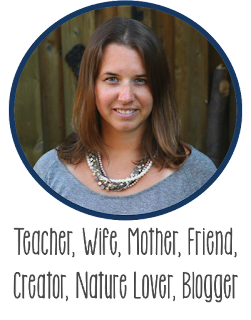 Students are able to write about any topic that they want. 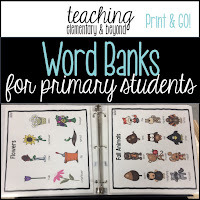 Some students find our classroom word bank to be a helpful tool to give them ideas or to stay focused on one topic. One of my students brought in this awesome fine motor provocation! 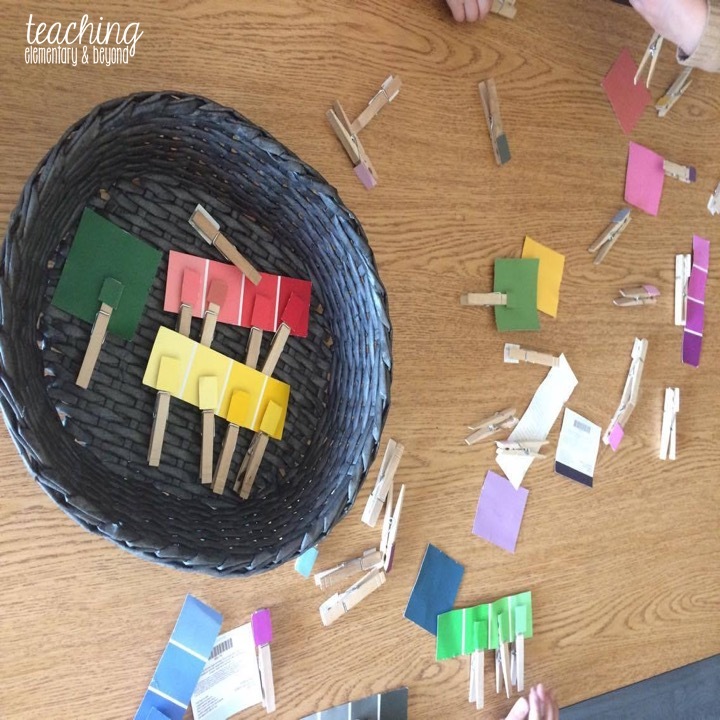 Simply glue matching color strips to clothes pins and let students find the matching pieces! 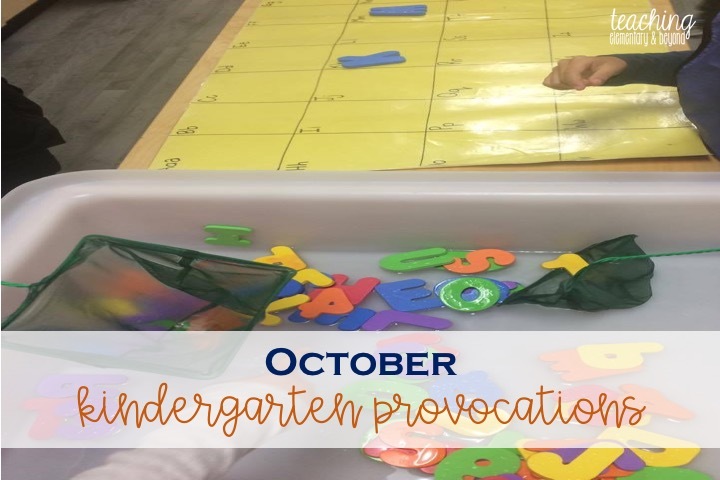 Color recognition and fine motor all in one great activity!